Okay, so you've been wanting to know some of this stuff for a while, so here it is! 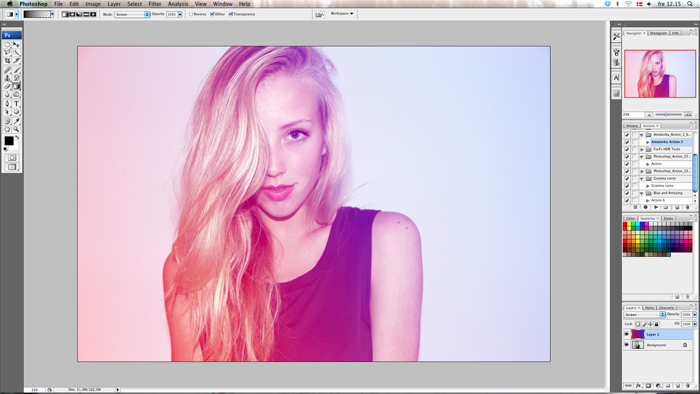 First of all I edit my photos in Photoshop and only Photoshop. There is no limit to what you can do in it - even now where polaroid like photos are "in" - you can do that and still have a say in the outcome (with many automatic polaroid generators, it can be difficult to make it exactly as you would like it)! Step 1. Open your image in photoshop. Edit it however you like, and we'll get to the gradients. Step 2. Go down to the bottom right corner and make a new layer (Cmd+N on Mac or Ctrl+N in windows or just press the icon which I've marked with green). 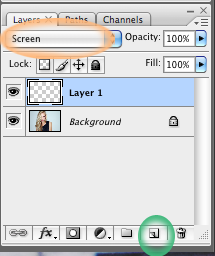 Next, you change the layer mode (orange circle) to Screen. This will make the colours look reeeaaal good. Step 3. Here comes the juicy bit - adding the colours! In your toolbox on the left you see a square (marked with red) - choose this tool and select your colours in the top (marked with yellow). For this image I've chosen to go with blue and red. There are so many options with gradients, it's just a matter of trying! I hoped you found it useful! Héééé, thank you!! I just bought Photoshop so this is pretty useful! This is soo cool! I'll be sure to try this out. Ja vil også rigtig gerne vide om man kan få photoshop gratis, eller om det koster penge? Mega fedt indlæg. 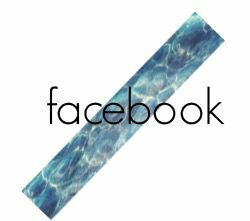 love your blog, Great post! That's cool, very helpfull too! I like your blog! You're such a gorgeous girl! I totally love your hair. You have a great blog! I'm hosting a contest for a stretched simple tee, from a danish company called Månestråle. AWESOME! 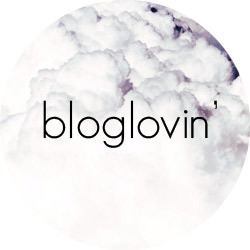 I must say i really love your blog! It's amazing - so is the tutorial! you definitely are a beauty! love your eyes!! 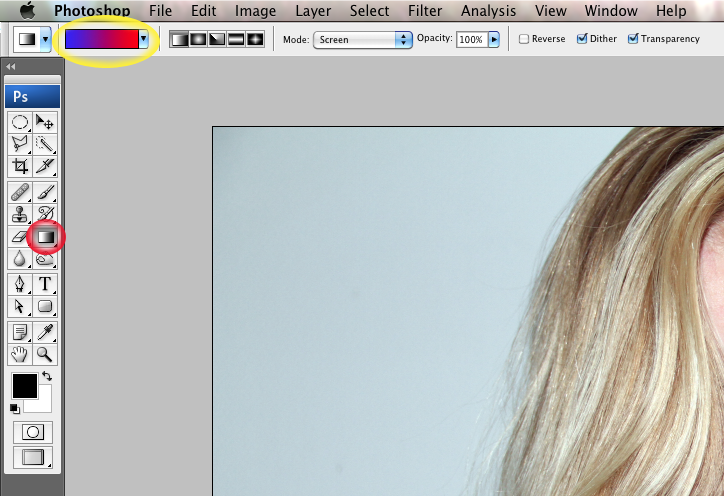 Thank you for this quick gradient tip. I would like to try them on my photoshop right away. I am a newbie on this one.